The commitment ceremony on November 18th was beautiful. It was a full day of reflection, prayer and sharing. It was a day that was celebrated by the 22 of us making our first commitments, those Associates that were able to come celebrate with us and the Sisters of Providence. It was a celebration of the 10th Anniversary of the Associate program and a looking forward to the years to come. It was a fond farewell to Sister Diane, who is retiring after years of dedicated service to the Associate program. It was a day of laughter and tears and it was a day of peace in my decision to become an Associate. This day has been a long time coming for me. I started this journey in 2011 and it has taken me this long to get here, but I persevered. I knew that God was calling me into this relationship and as I sat there during the ceremony, eagerly anticipating the moment that I received me associate pin, I knew that this was right. I felt at home. I felt at peace. I knew that Saint Mother Theodore was looking down on me and I was now a daughter of this remarkable woman. I still don’t know where this journey is going to lead. I am taking one day at a time and trusting in God to lead me in His will for my life. I know that I will still have moments when I want to run, but I trust in Providence. I know that as I delve deeper into this relationship with the Sisters, God will continue to work in my life. As I open my heart to those around me, God will provide opportunities for me to BE Providence in the lives of others and to bring love, mercy and justice to the world around me. 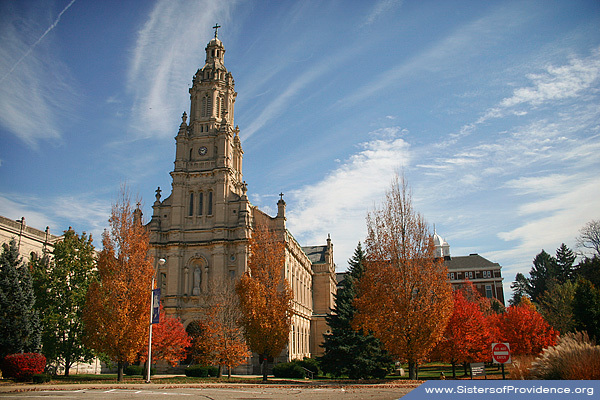 I am blessed to a part of this community of Sisters and Associates and I know that in this place, I am home. 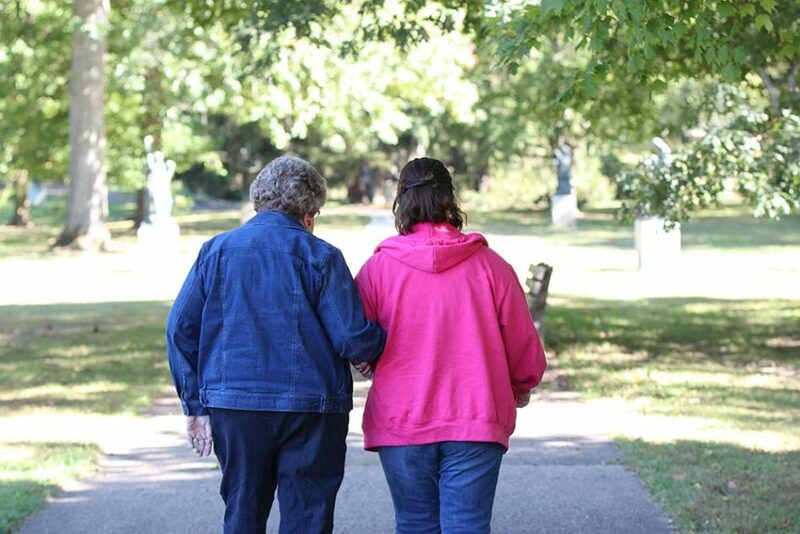 I love this picture of myself and my companion, Sister Kay. I am honored that this is the picture on the Associate poster with the caption: stronger together. As Sister Kay and I have walked through the 6 integration units together, I have learned so much about myself, the Sisters, and providence. We have become friends and I cherish the time we have spent together. Stronger together. As the Sisters grow older and gradually come home to “The Woods,” we, as associates, have the job of being providence in the world around us. It is our job to live out the charism of the Sisters of Providence by bringing love, mercy and justice into our sphere of influence. We can not do it alone. We need the support, prayers, encouragement and love of the Sisters to keep us going. 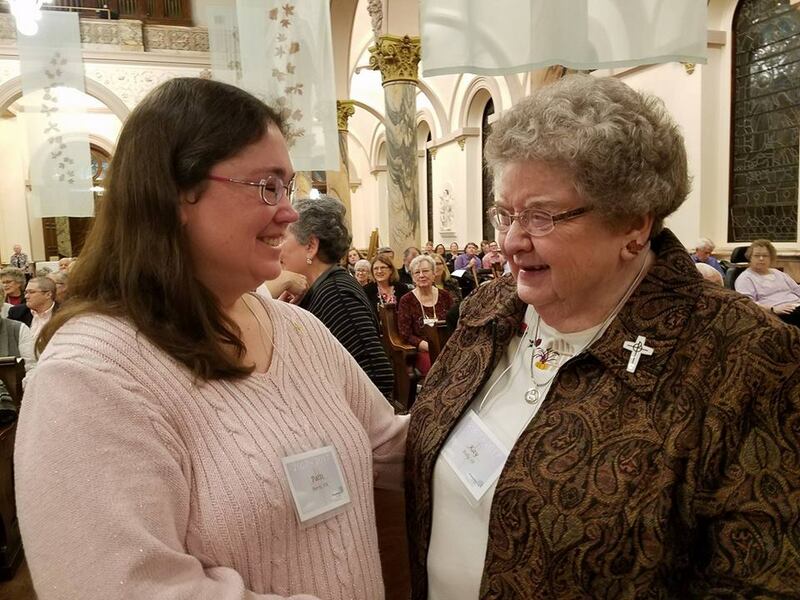 We need to come back to the motherhouse to connect and strengthen each other so that we all may have the courage to continue the journey that our dear Saint Mother Theodore started those many many years ago. We need each other. 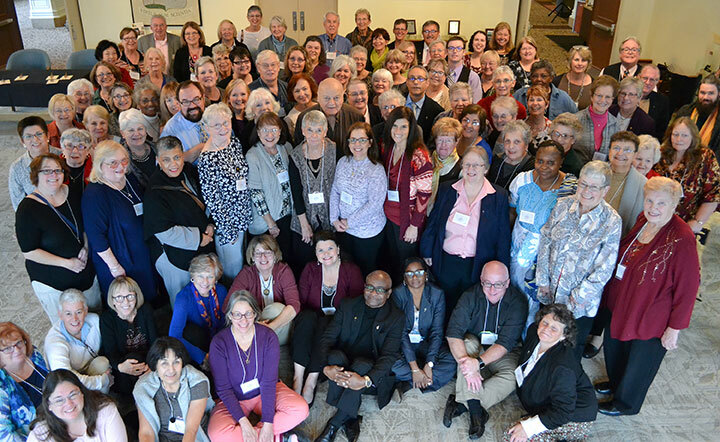 I am blessed to be included in this community of Sisters and associates. I am excited to see where this journey will lead. I am somewhat anxious as I step out of my comfort zone, but I will eagerly embrace the challenge, as I walk arm in arm with the Sisters and fellow associates. We are indeed, stronger together. When Sister Kay and I met to discuss unit 0ne in the integration unit: Story, I shared the different chapters of the story that makes me who I am. I will not rehash that here. I have shared bits and pieces of my story in various posts, but that is not what I want to do here. Each one of us has a unique story. Our past, present and future is woven together and kept in the dark recesses of our heart. Every crevice of our heart is filled with the negative and positive events of our lives. It is this way for all of us. Some circumstances we go through alone, but there are times when we are brought together in joy or sorrow and our story is intertwined with the stories of others and we share a moment in time that will bring us together forever. None of our experiences will ever be exactly like the experiences of someone else. We all have our own perceptions of things that happen. God has made us uniquely different. Only when we bring our stories together for the good can something magical happen. 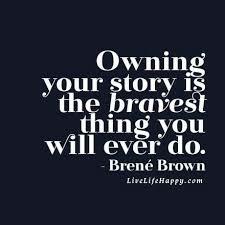 It is not our stories themselves that are important, it is what we do with those stories that makes the difference. Only when we take a tragic event and use it as a catalyst to make a difference in the world, will we see compassion. Only when we share our joys with others will we see love. We will never be able to control everything that happens to us, but we can control our reactions, thus changing the outcome and bringing good into our stories. 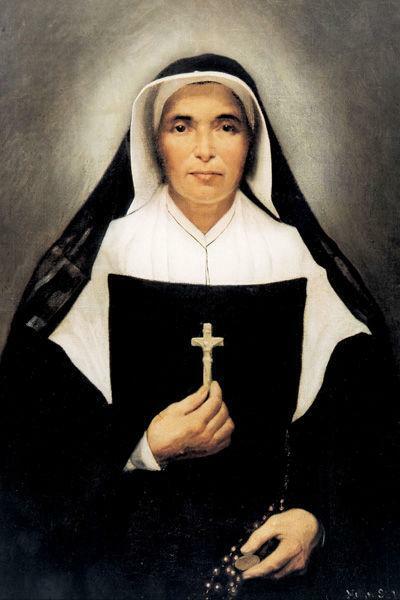 Saint Mother Theodore Guerin embraced her new adventure, travelling from France into the wilderness of Indiana, and the story of the Sisters of Providence has become intertwined into the stories of so many people, who are blessed because of her courage. Her story continues to influence the stories of people near and far. My story has been influenced by her story. 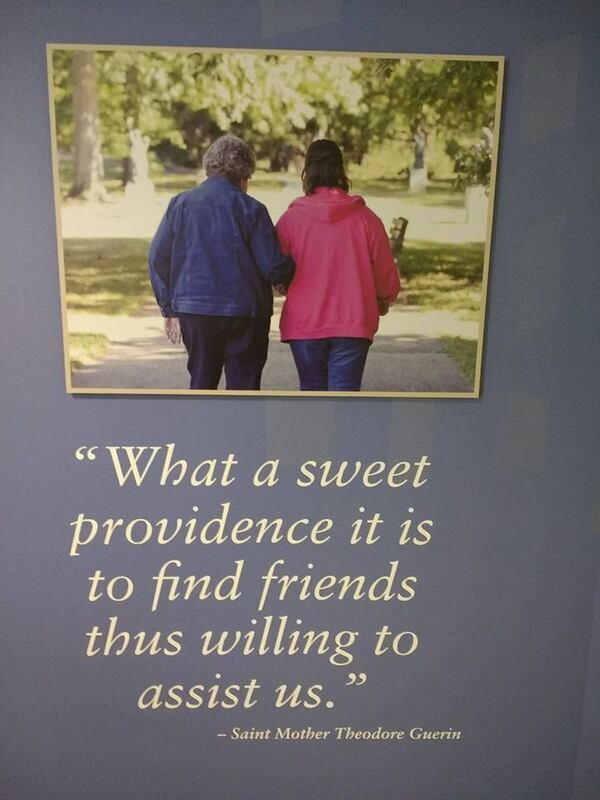 The Sisters of Providence have become a special part of my story. I don’t know what the next chapter will be, as this story plays itself out, but I do know that I am looking forward to the adventure. My story has become a part of the stories of so many others who have felt the call of Providence on their lives. I am excited to see what the next chapter of my story will be. It was a beautiful day for the Associate’s orientation. It was a day of prayer. It was a day of sharing our stories. Each person with a different story of how Providence brought them to this place of belonging. It was a day of reflection. It was a day of discomfort. As an introvert with anxiety issues and social phobias, sharing my story with a group of 60 or so people was terrifying. I was shaking in my shoes as I stood there and held the microphone. I had rehearsed some of what I wanted to say, but it came out so much better than I had hoped. I’m sure they all heard the trembling in my voice and I did tear up once (What can I say, I’m emotional!). This was just the beginning of God pushing me out of my comfort zone on this journey. My companion, Sister Kay, has her work cut out for her. Since Saturday, I have been reflecting on why I want to be an associate and what my expectations are for this candidacy year and going forward. I want to be an associate, because I want to be a reflection of love, mercy and justice in my sphere of influence. I want to join the Sisters in fighting for justice in the world. The Sisters are living examples of love in action. In many of our stories, we each shared a sense of belonging or being home. This isn’t a coincidence. The Sisters embody a spirit of hospitality and compassion. This campus has become a refuge for many of us. A place of peace in the midst of chaos. A shelter in the storm. We feel the loving presence of our Foundress, Saint Mother Theodore Guerin and we know that in this place, we are safe. I think the key word for this next year is GROW. I want to grow in my relationship with God. I want to grow in my relationship with the sisters. I want to grow in my prayer life. I want to grow as a christian. I want to grow as a writer. I want to take the time to discern God’s will for my life as an associate. My kids are getting to the age where they don’t need me as much and I have more freedom to see where the Holy Spirit is leading me. This will definitely be a year of reflection and discernment. I want to be able to transition from working in the food service dept. to working with the sisters on social justice issues. This is where my heart is. I have a passion to see justice for the oppressed, the abused, the lost. Oppression has many faces. There are so many people around the world who suffer in silence. They live lives of silent desperation and cry out in their pain. Is anyone listening? I have such a burning desire to join in the fight for these precious souls full-time, that at times, I cry out in frustration because I have bills to pay and money is a necessary evil. For now, I will do my best where God has placed me and trust in His Providence to work out a way that I may have my heart’s desire. These are some of the things that have been on my mind since the orientation. God is molding my character. I feel it in my spirit. It can be a painful process, but so rewarding. I am a mess, but God is molding me into a vessel that He can use. That is what this process of becoming a Providence Associate is to me. It is the molding process that is needed to make me a scarred, but beautiful vessel that God can use to do His will on this earth. As I said in the orientation, I am where I belong.